Kassiopi Corfu Villas is delighted to offer you two private villas for rent in Kassiopi, Corfu. Situated in the exclusive area of Anatoliko, Kassiopi. 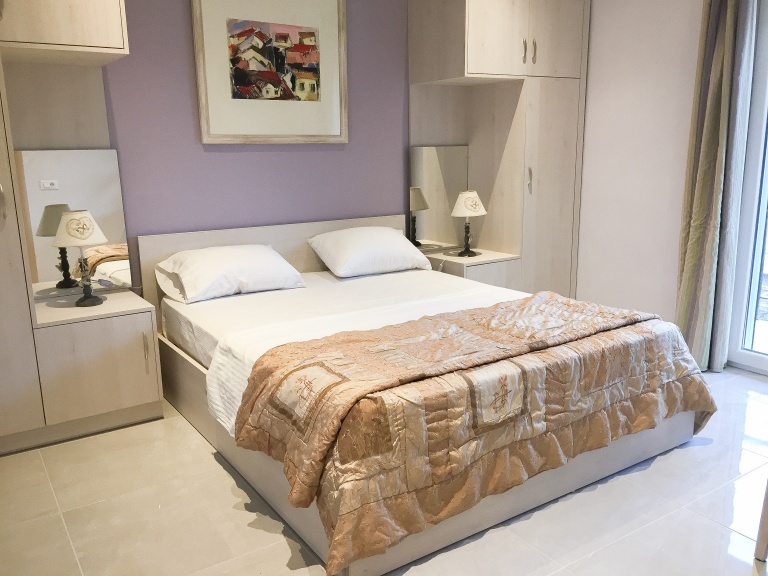 Plus – brand new for 2019 – four, luxury two-bedroomed apartments for rent in Kassiopi centre. Let us introduce you to Villa Christos, Villa Eleni and The Central Suites, Kassiopi. The villas for rent are built on large, virgin land just over 10 years ago in a prime spot within Kassiopi…our luxury Greek villas – private and detached properties in every way – are in perfect, new-build condition. Our discerning guests can enjoy the quiet location whilst still being walking distance to Kassiopi village, Kassiopi harbour and the sea. Rent your very own private villa in Corfu and live your dream holiday. Large, luxury villa, private pool, sea views, high-end hospitality plus the natural aesthetic beauty of the North-East coast of Corfu translates to one thing: a perfect villa holiday for families and large groups. Our two-bedroom apartments for rent in Kassiopi, Corfu are new to our portfolio… Luxury suites consisting of two bedrooms, one family sized bathroom, fully fitted kitchen and private balcony. Plus communal pool, BBQ and outside dining area for the exclusive use of our guests. Situated in the Boutikatika area of Kassiopi, these luxury apartments are in a quiet spot yet just 3 minutes stroll from Kassiopi centre. A perfect option for small families or couples looking for quality accommodation for rent in Kassiopi. Click below to view our rental collection individually. More space in your suitcase! We provide all bed linen, bathroom and pool/beach towels. No driving necessary! Easy access to all amenities and beaches. Living locally ensures there is always someone at hand for help, plus offer great tips for making the most of your holiday. Beds can be changed from twins to doubles to suit your party configuration. All our properties have accessible WiFi in both interior and exterior areas. We support the local recycling program. We did not inherit the earth from our ancestors, we borrow it from our children. Welcome packs provided and we can do a pre-shop for you too. With appreciation to late-night flights, we try and offer guests flexible departure times wherever possible. We value our young guests too. Sturdy wooden cots and high chairs available on request. Whether you are in a position to book or just making initial enquiries, we would be delighted to hear from you.